The pictures are up and we are so excited! Thanks to Set Free Photography for an amazing job on these photos!!! Along Came Stephanie did a spectacular job planning and designing this wedding. We were so thrilled to be part of Marissa and Penn’s Special Day. Congratulations to an absolutely beautiful couple! Congratulations to Shanna and Tim, one of Lusters Brides from last weekend! It was a beautiful affair at The Club at Barefoot Beach. 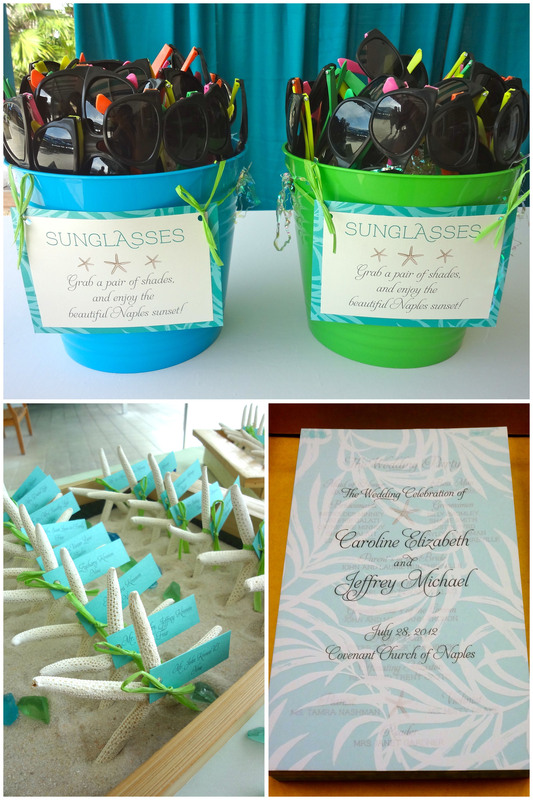 For the event we used a vibrant green and shades of brown, which complimented very nicely with the gorgeous beach setting! Here are a couple of photos from the event. Your friends at Luster Designs would like to wish you a wonderful Labor Day! Did you know… The first Labor Day parade occurred Sept. 5, 1882, in New York City. The workers’ unions chose the first Monday in September because it was halfway between Independence Day and Thanksgiving. The idea spread across the country, and some states designated Labor Day as a holiday before the federal holiday was created. Luster Designs has officially been published!! Check out the blog entry at Style Me Pretty!! Such an exciting day for Luster Designs! A big shout out goes to my new Studio Manager Summer Russell for all of her hard work on this wedding and every day at the office. Don’t know what I would do without my right hand girl!! Click here to see the post! The wedding this past weekend, took place at the beautiful Naples Beach Hotel and Golf Club. Blue and Green were the colors of the wedding with some red thrown in! See what you think!! Just wanted to post some pictures of a recent invitation that I had the privilege of doing for an old friend from High School. We played LaCross together, and she was just a wonderful friend and I am so glad that I was able to contribute to her wedding, back in our hometown! Congratulations Kate, and Happy New Year! Sunday I did a wedding that turned out beautifully!! The reception was at the Naples Grande, and the ceremony was at the Naples United Church of Christ. There were 250 guests in attendance! There bride and groom were two of the nicest people you ever want to meet! The mother who was working on most of the planning was a delight to work with! Those kind of wedding are always the BEST!! I provided Programs, Place Cards, Seating Chart, Menu’s and Custom Napkins. Enjoy the Pictures! One wedding down, one more to go! I have two weddings this weekend back to back. Today’s wedding was at the Marco Island Marriott. The colors were blue, gold and yellow! The table names were of Lakes that meant something to the bride and groom. It actually was a really cute idea! Here are the programs and seating chart that I did! I did not get pics of the table names or the menus, so once I am in the office I will take pics and share them! On my way to another wedding!! Here is an itinerary that I am doing for this weekend’s wedding. I think they turned out great! There will be more pictures to come, once I set up for the wedding! These are wedding invitations that I worked on last week. I think they came out beautiful! I love the color scheme and patterns used. Thanks to all that helped, I could not have done it without you!! The wedding is in Newport Rhode Island, and I think that it is going to be one to remember. Hope you like it!! Worked on a wedding over the weekend, here are some pictures of the work I did. Luster provided Menus, Programs, Place Cards, a Seating Chart and Various signs around the room! I really think that it turned out Pretty in Pink!! Hope you enjoy!! This is my first attempt at a blog, I am totally new at this so bear with me!! I figured this would be a great way to update new designs and get people excited about Paper! Cause I know I am!! I will try to post once a week with new projects, designs, or concepts that I am working on along with some wedding advice thrown in there! Hopefully someone will read this besides my mother and husband! Just a wish of mine!! Anyway enjoy the pictures and as always if you don’t see something on the blog check out my website (when it is up) and feel free to give me a call, (239.775.4800) I love to answer questions and chat. 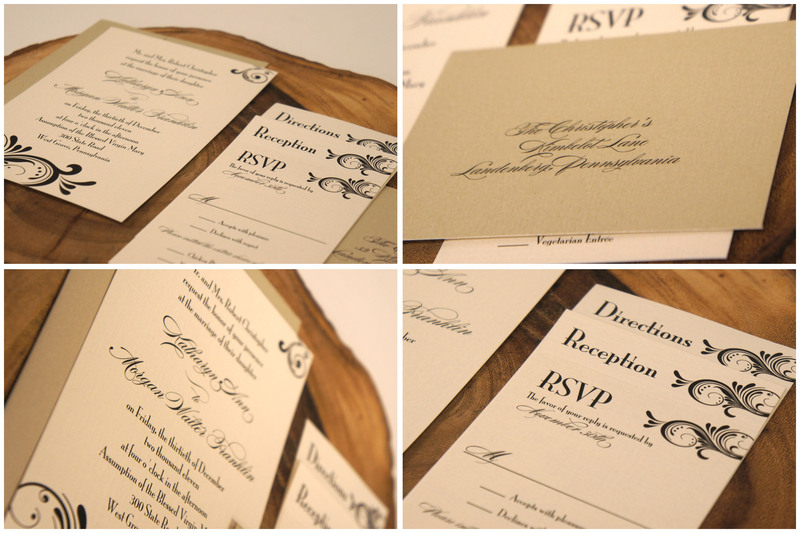 I'm Megan, and I own Luster: an invitation design studio that lets your style and personality shine! I enjoy meeting with brides, that have an energy and passion about what they are looking to create. Sometimes the finished product is soft and elegant or funky and flirty, either way if the bride is happy, so am I! Luster also provides any other invitation you can think of. Where there's a party, there's an invitation! Come create with me!